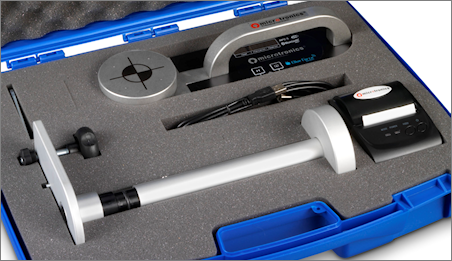 The force measurements memorised and visualised in the BlueForce Smart instrument can be transferred to the BlueForce Software using the provided USB cable (1) , or in wireless mode (using the accessory plug’n Go! optional) (2). (3) The BlueForce software enables management of tests performed within a client database, with the option of printing out reports with relative graphs. 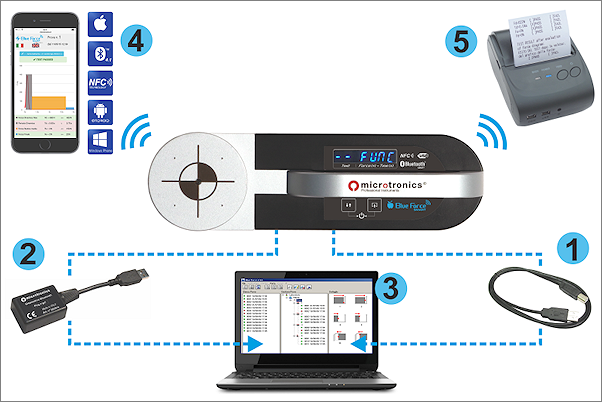 (4) With the Smart functions it is possible to use the full potential of the Bluetooth/NFC technology embedded in the instrument: with the designated Apps the measurements taken can be sent directly to the mobile devices. 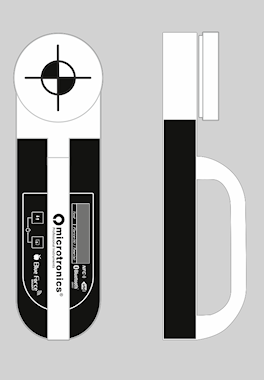 (5) With the FTP Bluetooth thermal printer, the receipt of the measurements reports can be printed directly in the place, without using a PC.